I’m a graphic designer specializing in book cover design. In my Terms & Conditions, I state that I retain copyright of the design but grant the client the right to display the work and reproduce it. In Upwork’s User Agreement section 8.6, it states that the client owns the design after it has been paid in full. Is this correct or am I misinterpreting it? Under US copyright law, all rights and ownership belong to the creator of the work. The exception to this is work-for-hire, which means if the designer is a full time employee then the work the designer creates is owned by the employer. A freelancer is not a work-for-hire. Unless I'm misinterpreting this, there seems to be a conflict. I'd appreciate any help in clarifying it. Once paid for the client owns it, in full, unless both parties agreed something different in advance. "Work for hire" is not just in the course of employment. 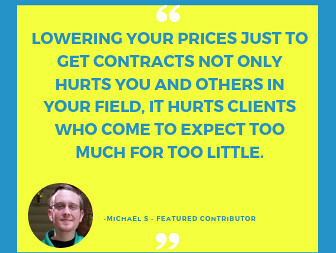 You are free to negotiate your own terms before a contract starts, but this may put you at a competitive disadvantage compared with other freelancers who do not impose conditions that differ from Upwork's. 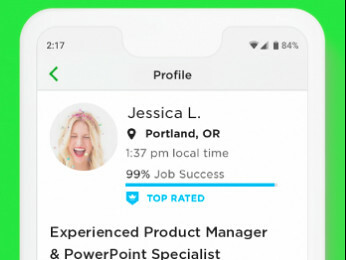 Is it Upwork's place to say that a client owns a design? Whether we like it or not, we have to abide by copyright laws. Unless you create your own agreement with the client to retain the ownership of the work you created and received payment for, the copyright will be transferred to your client after receiving the payment, as outlined in the ToS article you mentioned. How are typefaces and royalty-free images supposed to be addressed? I’m not trying to be difficult. My goal is to protect myself. Here’s what the AIGA says about Work for hire. ....Here’s what the AIGA says about Work for hire. OK, let's agree that work done for Upwork clients does not "automatically" belong to the client as "work made for hire." It doesn't matter. It's a red herring. Upwork's default terms say the client owns copyright upon payment. That is, our default contract with the client treats creative work done here as if it were work for hire. There's your "automatic," de facto work-for-hire. Obviously you would want to make your retention of rights clear to prospective clients during negotiation; some prospects may not find your terms acceptable. Of course, you are still free to contract otherwise, but I do believe that a work-for-hire agreement could properly apply to such work. Thanks Tiffany. I will check out the link. From AIGA: "copyright will belong to you unless you assign it to your client." 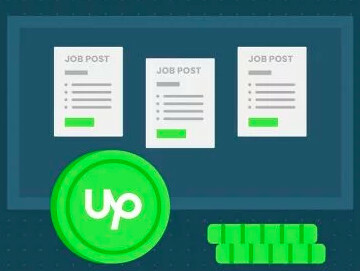 By using Upwork, you agree to the Terms and Services, which specify that the rights belong to the client - so you've "assigned" copyright for all intents and purposes. Typefaces and royalty-free images have their own licenses that allow you or the client to use them as part of the overall work. In most cases, a freelancer can't transfer those licenses, so the client is responsible for having them. Part of my service is to lay out for the client what licenses they'll have to purchase if they don't have them already, before work begins. If they want special fonts or licensed stock images, they must supply them. Otherwise I use only materials that are freely licensed for commercial use.